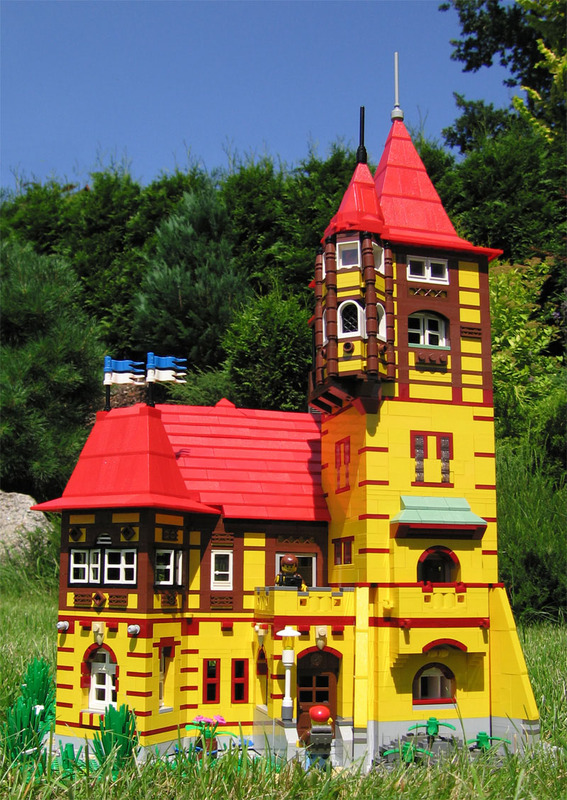 Brick Town Talk: Art Noveau - LEGO Town, Architecture, Building Tips, Inspiration Ideas, and more!
" My MOC was inspired by beautiful restaurant with a look-out tower. The restaurant is named Hradek and it is located in Czech city Varnsdorf - very close to German border. Built in 1904, it carries all typical signs of Art nouveau style." i love this!! so beautifull. tacvud ak si nahodou precites tento koment akus ma kontaktovat na mojom blogu. podla tvojej galerie na brickshelf mi doslo ze si z ciech ak sa nemylim?? su v cechach nejake lego stretavky? je uzasne vidiet ze aj cechy a slovensko maju lego maniakov..